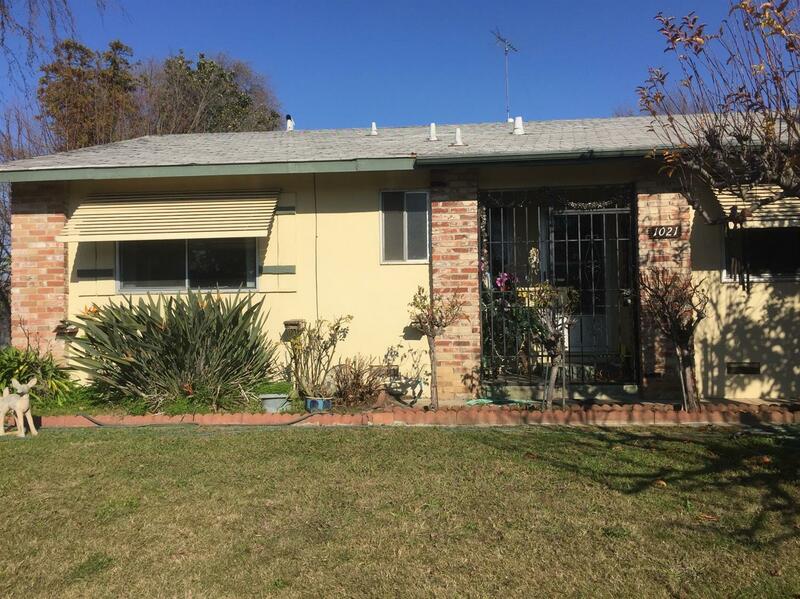 Large corner lot fully fenced. Great RV access and storage. Entire lot is fenced, wrought iron around front and sides. Incredible avocado tree in front yard, plus a variety of fruit trees including orange, grapefruit, cherry, peach, apple and more. Home has a large family room with beam ceiling, a sky light, ceiling fans and a half wall of used brick with fireplace, hearth and mantel. Multiple windows overlook backyard and sliding doors open out to side patio. Nice size kitchen and large dining area. Bedrooms have hardwood floors.